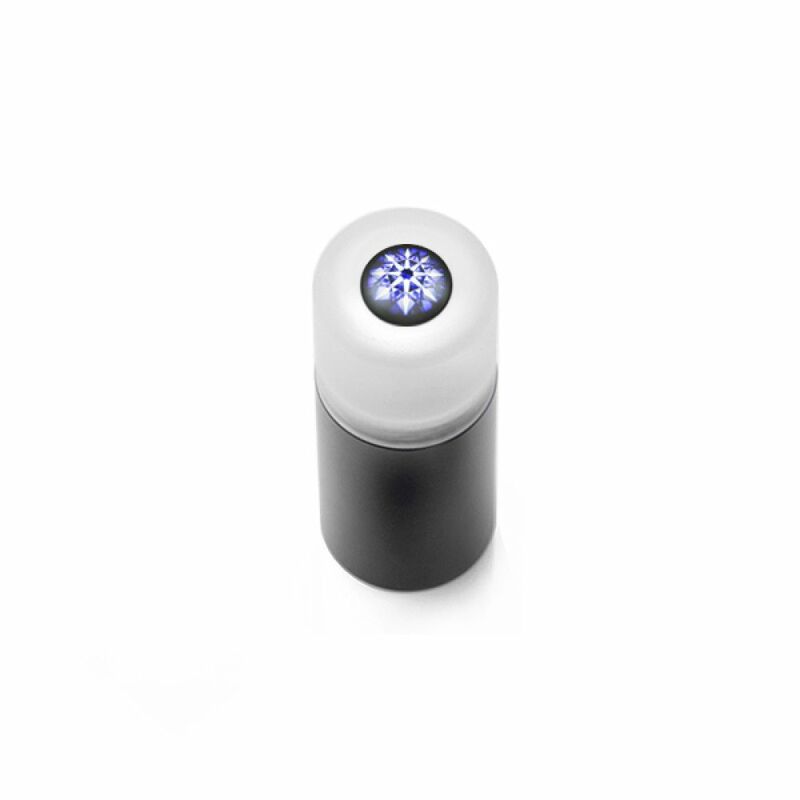 The laser inscription viewer features a 20 x magnification adjustable lens, with dampened rotating movement for easy identification of a laser inscription. The base unscrews to open the cylindrical metal body. Inside you will find the Hearts and Arrows viewer with removable base for positioning your loose diamond. 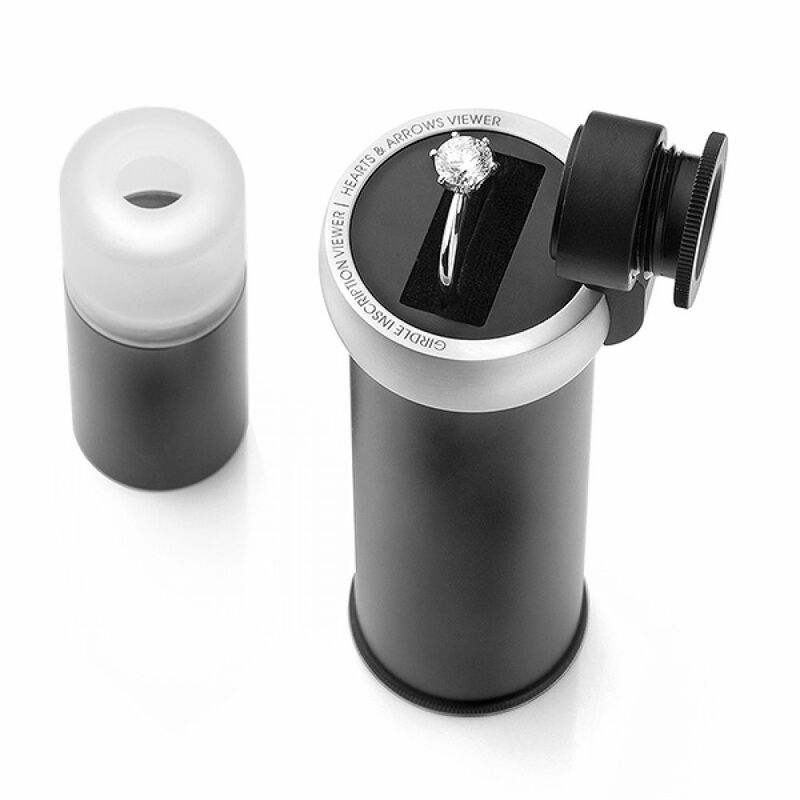 To view your diamond laser inscription, place your loose diamond within a ring clip. Alternatively your inscription can be viewed within the engagement ring itself. Ensure that the diamond has been set with the GIA (or other) inscription exposed and unhidden by claws or prongs. Reduce the ring height within the velvet cushion to align with the lens height. Rotate arm to align with GIA inscription. Manually adjust the magnification until the inscription comes into focus. From experience we recommend using this viewer under a bright light for maximum visibility of the inscription. This easy-to-use tool is an essential piece of equipment for selling GIA inscribed diamonds or for owners of diamonds with inscriptions who wish to view the laser inscription on their diamond. This item is a stock item and ships on the same business day. The inscription viewer arrives in its own box and is sent next day Special Delivery within the UK and International signed for delivery Worldwide. Please allow a maximum of 1 week for delivery of this item outside the UK. Another useful selling tool you might like is the CZ master set of diamond colour samples. The ring clips are particularly useful for setting up loose diamonds to read within the GIA inscription reader. The cost of this set is particularly affordable for selling diamonds compared to the equivalent all-diamond versions.